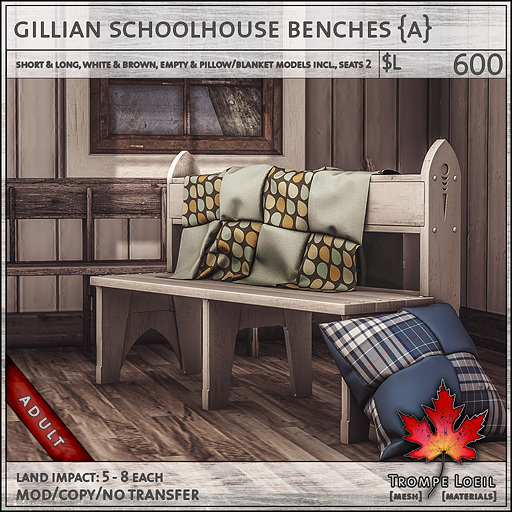 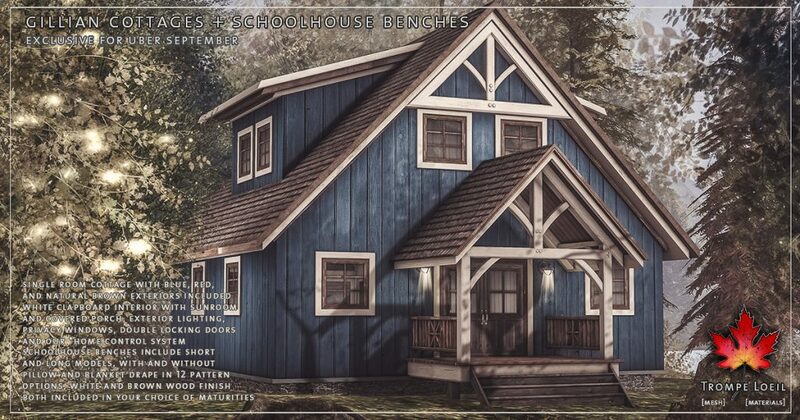 High ceilings, rich autumn colors, and a front porch ready for decorating – the Gillian Cottages and matching Schoolhouse Benches for Uber bring the coziness and style of autumn home! 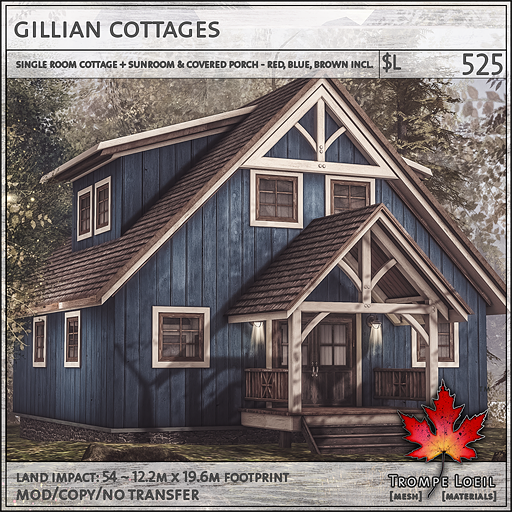 The Gillian Cottage welcomes you with a beautiful covered porch and gently glowing exterior lights on either side of the wooden double doors. 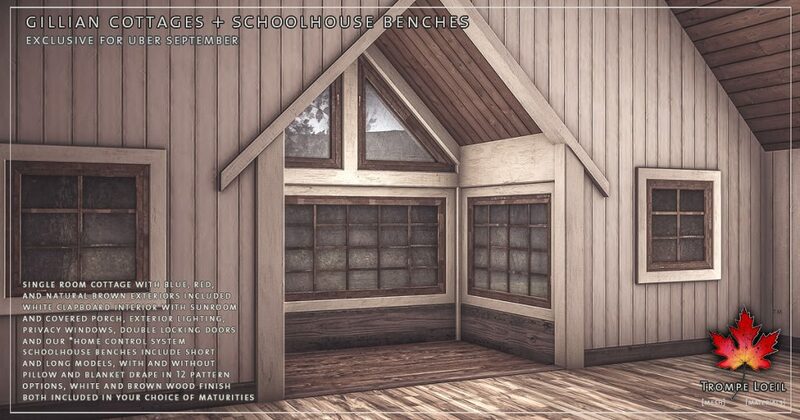 Inside is a huge, single room with double-height windows just perfect for a studio layout – and for added interest, a sunroom in the back makes a perfect reading nook! 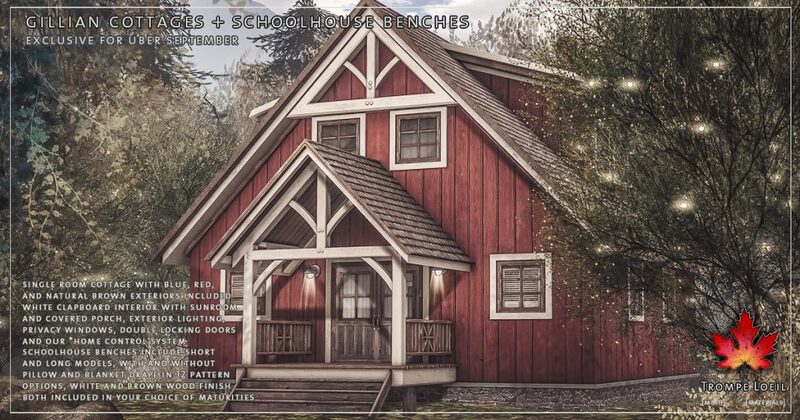 We include privacy windows, locking doors, our *home control system, and 3 beautiful colors in the pack – rich red, jewel-tone blue, and natural brown! 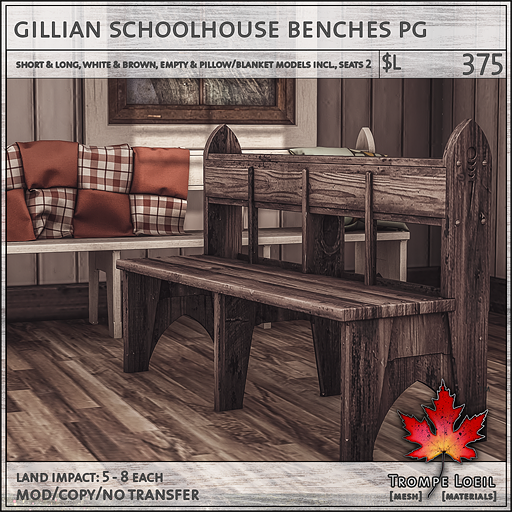 Plus, the matching Gillian Schoolhouse Benches are an antique heirloom you’re sure to love. 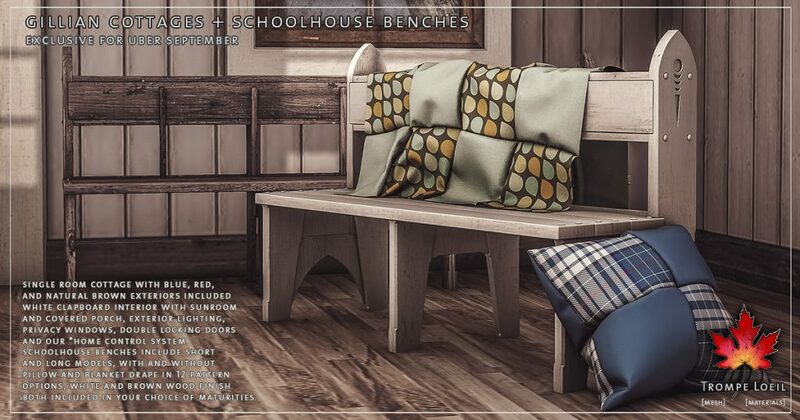 We include short and long models, empty and blanket/pillow models with 12 fabric pattern options, and natural brown and white wood – all in your choice of maturities! 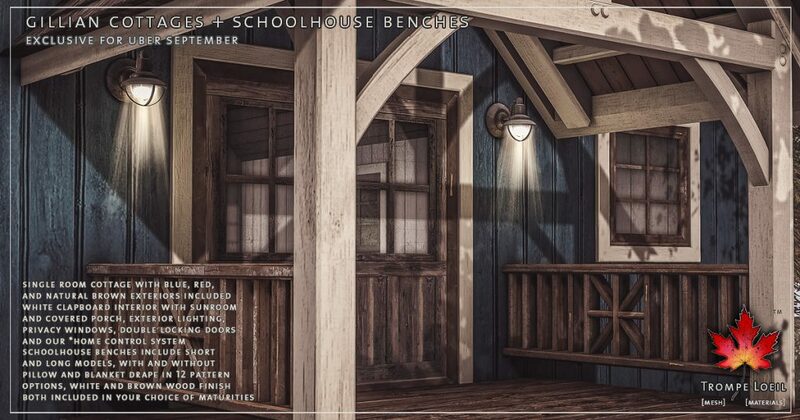 Check out the Gillian Cottages and Schoolhouse Benches only at Uber’s September round!